Drove around the place twice and found no parking for RVs. 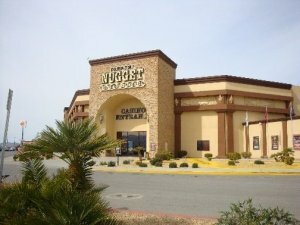 There is a dirt lot behind the casino, but it looks like it does not belong to the casino, and there is no security there. Looked very seedy too. We went on and stayed at Saddle West down the road for $25. Highly recommend that place, and you will be able to sleep well at nite! !